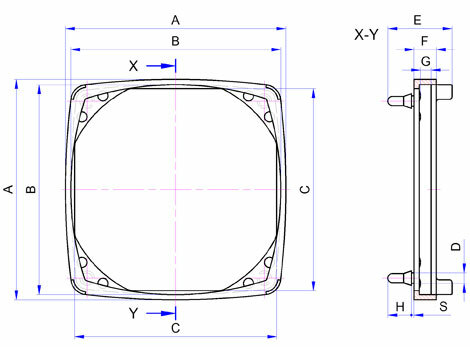 For the article definition you need the fan size (size B), the flange thickness (size G/ see picture left) and also the panel thickness. Small fans do not have an extra flange (see picture right). 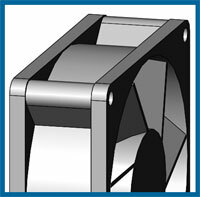 For this fans the flange means the height of the fan (size G). 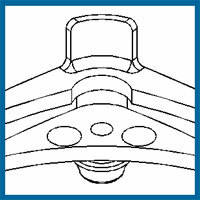 With * marked fan-types size G equals the fan height.